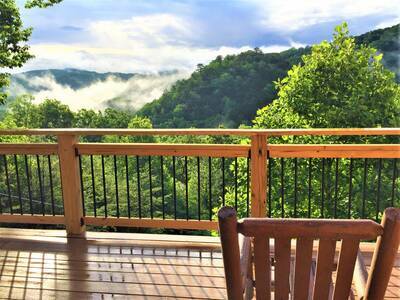 Welcome to Happily Ever After in Gatlinburg! 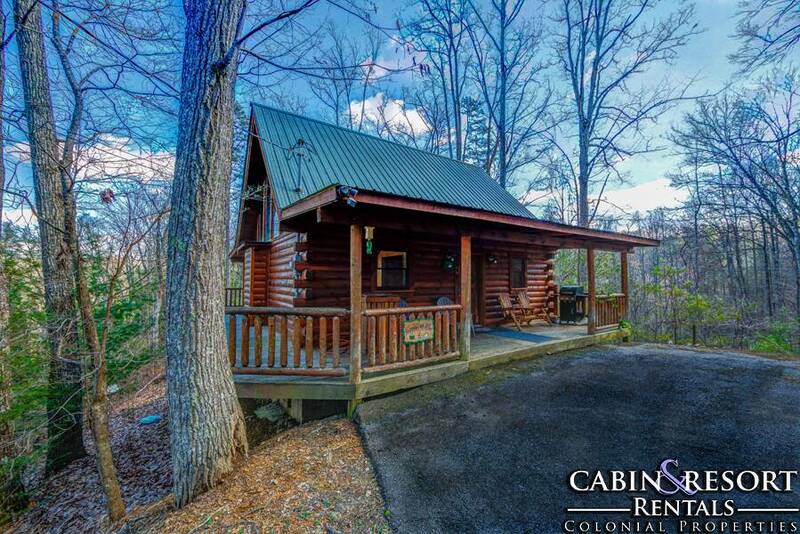 This totally romantic 1 bedroom, 1 bath Smoky Mountain cabin rental wraps you and your special guest in total comfort and luxury. 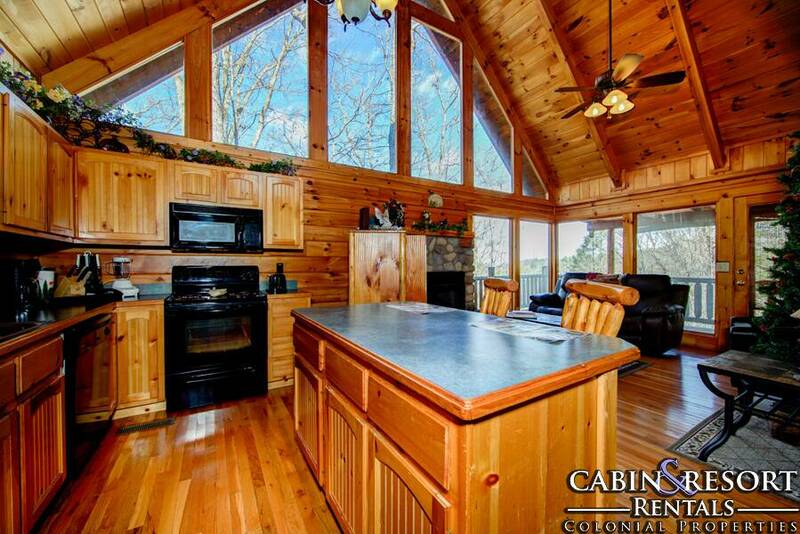 This breathtaking cabin sits on over 2.5 acres giving you total privacy and seclusion. 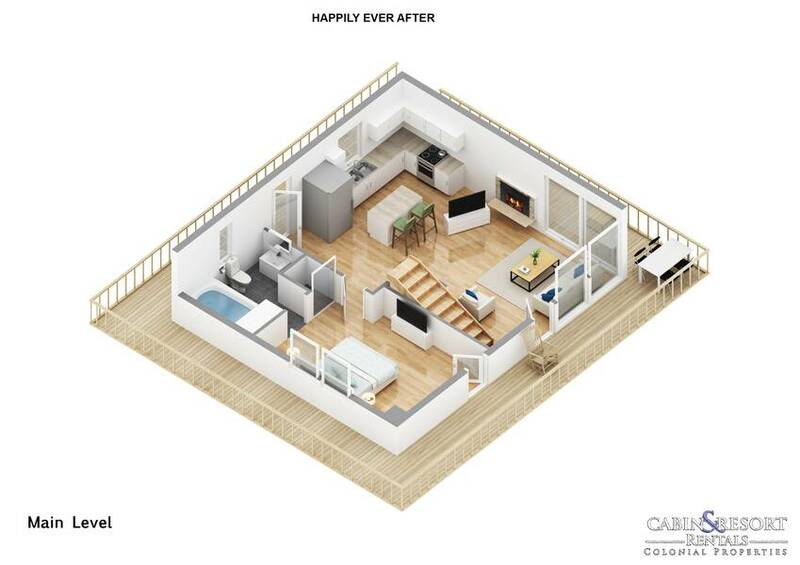 As soon as you walk in the door at Happily Ever After, you are greeted by the spacious open floor plan and soothing natural wood accents. 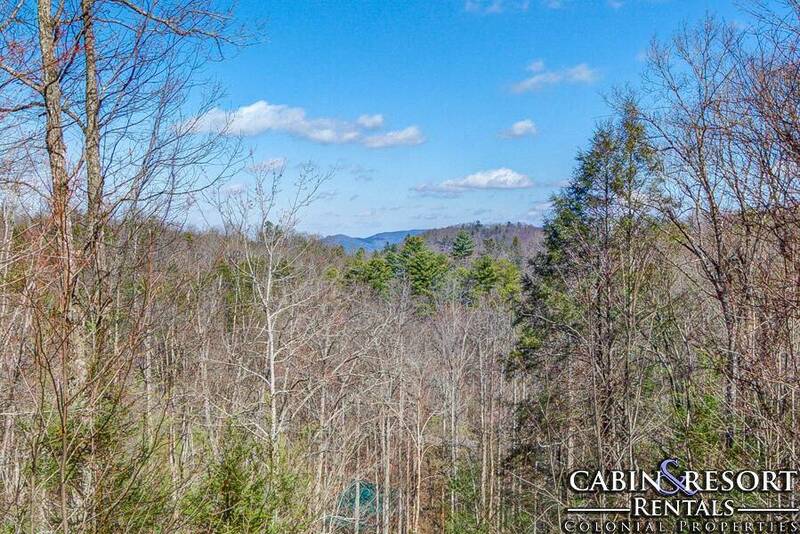 The wonderful living room provides you with a mountain stone accented fireplace, relaxing decor, a flat screen TV and amazing picture windows that frame the mountain view and surrounding forest. Adjoining the living area is the spectacular fully equipped kitchen. Here you and your sweetheart can prepare each other breakfast in bed, a delightful lunch or a romantic candlelight dinner for two. Step into the ultra-luxurious master suite for total relaxation. 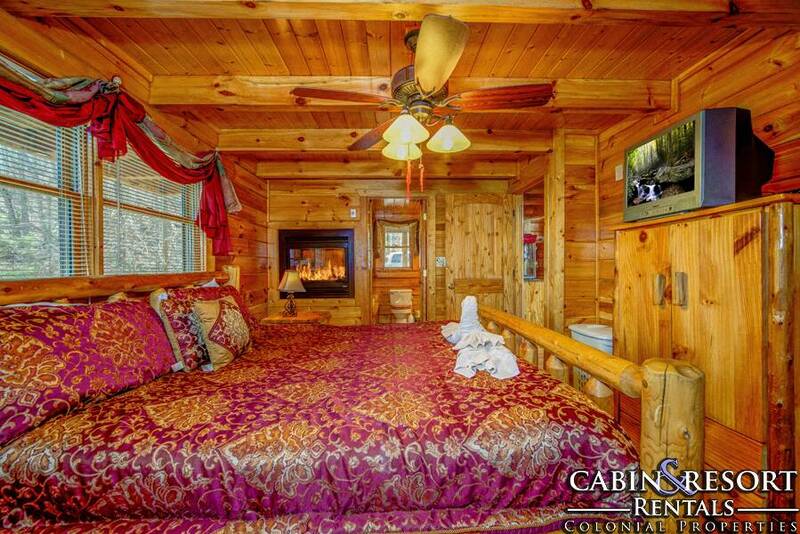 Here you will find a super comfy log king bed with nearby fireplace, private deck access near the outdoor hot tub and a flat screen TV. The spa inspired in-suite full bath features a soothing jetted tub with fireplace and separate shower for a truly remarkable experience of comfort and enjoyment. 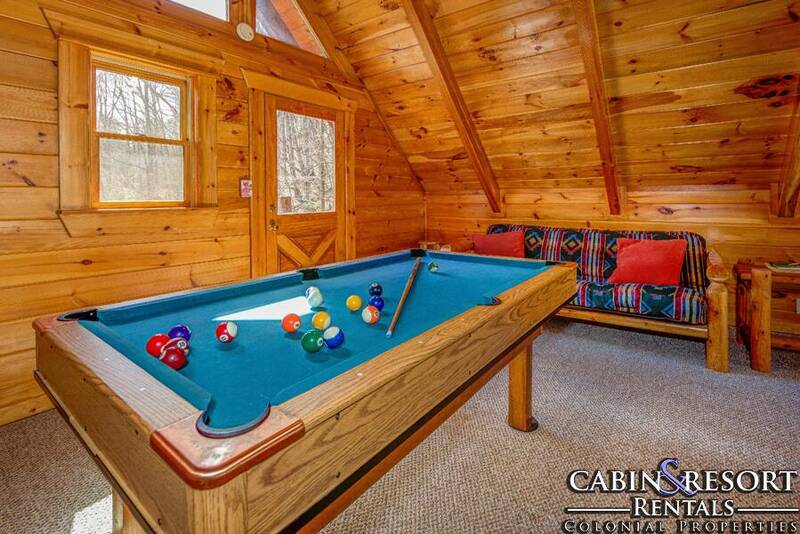 Take a trip up into the game room loft to challenge your special guest to an exciting game of pool. Play each other in a tournament, grab a seat and watch TV or step out onto the private deck for a little fresh air. If you’re coming to the mountains to enjoy the great outdoors, you’ll definitely have a chance to do just that at Happily Ever After. 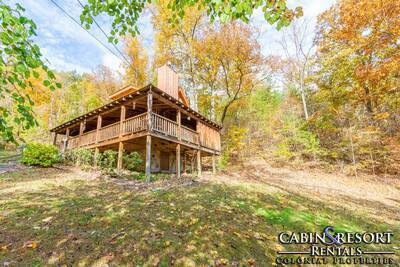 The expansive covered deck features log patio seating, rocking chairs and a beautiful forest and mountain view. 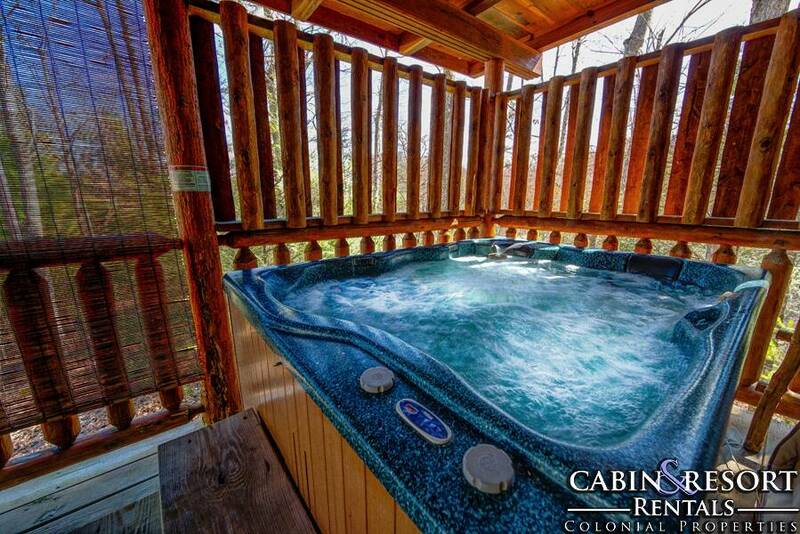 Take a dip in the bubbling outdoor hot tub and splash around with your sweetheart for a truly fun and romantic experience. 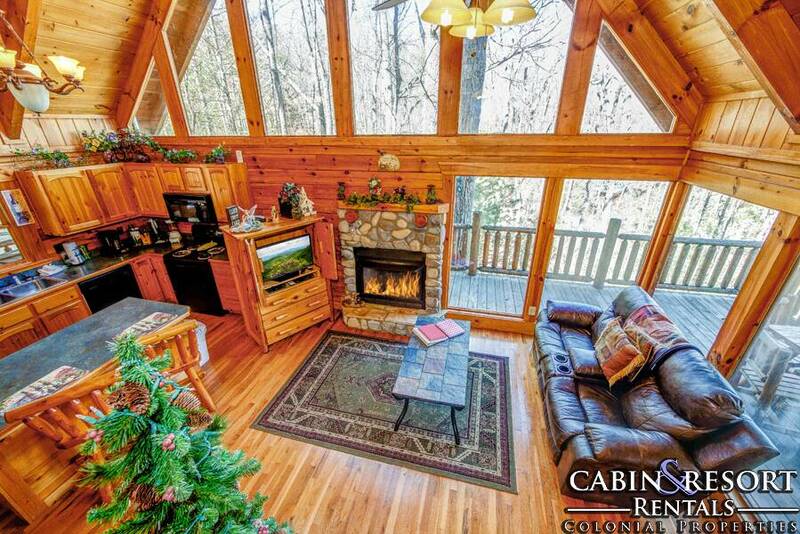 For added convenience, this Gatlinburg cabin rental offers complimentary high speed internet access so that you can check your email or browse the web while you’re on vacation. 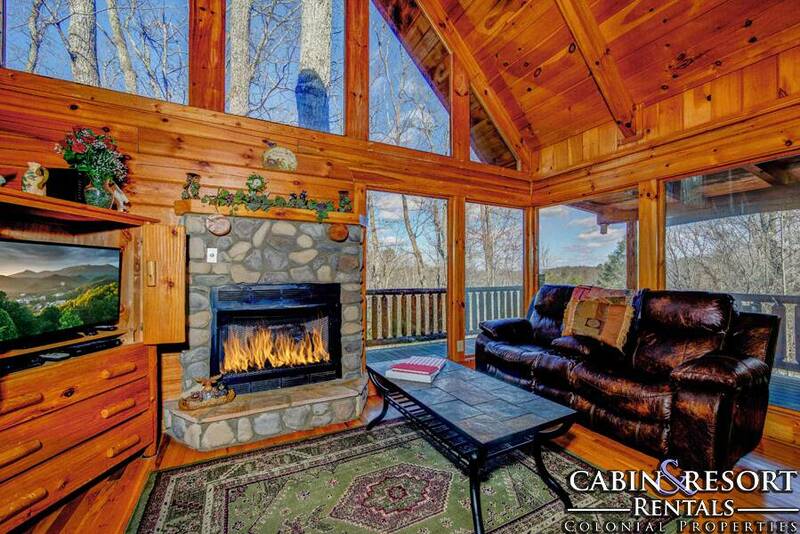 If you’re looking for a wonderfully private and serene Smoky Mountain vacation getaway where you can spend some much needed one on one time with your companion, then you’ll love this Gatlinburg cabin. 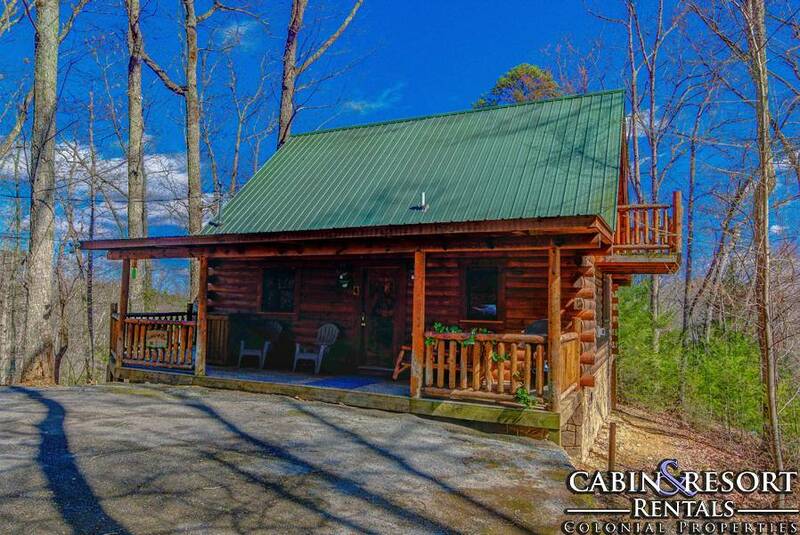 With its romantic amenities, spacious floor plan and close proximity to all of downtown, you’re sure to enjoy all of the amazing features this cabin has to offer. Reserve your stay at Happily Ever After today! A: Hi Jeannie! 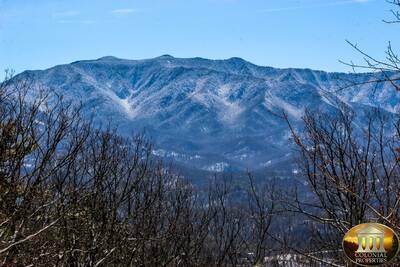 Happily Ever After is located approximately 15 minutes from downtown Gatlinburg. A: Hi Brittany! 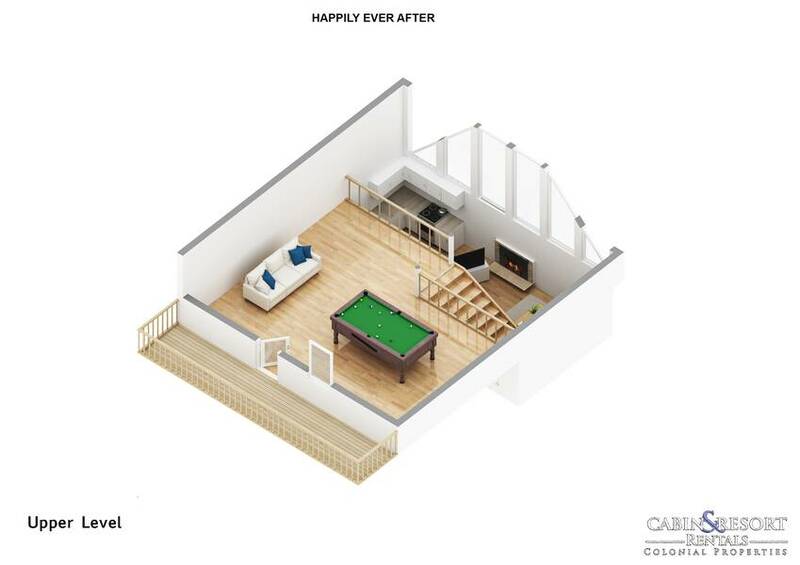 Happily Ever After has a gas fireplace. A: Hi Neil! Happily Ever After is located in the Glades Arts & Crafts Community of Gatlinburg. A: Yes, the hot tub is operational throughout the year. “ Our stay at Happily ever after was an amazing experience that We will never forget. Thanks to colonial properties for making our stay A memorable one. 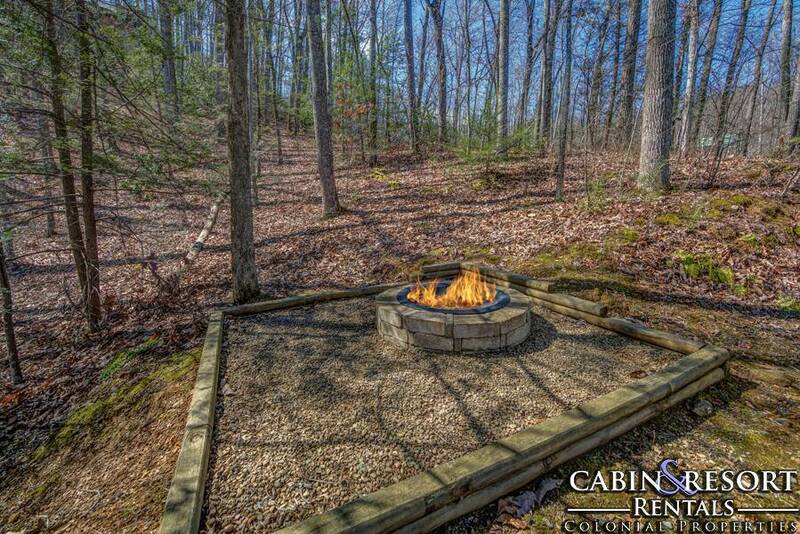 “ We had a wonderful experience with this cabin, the driveway is steep but other than that beautiful cabin and everything worked great!! 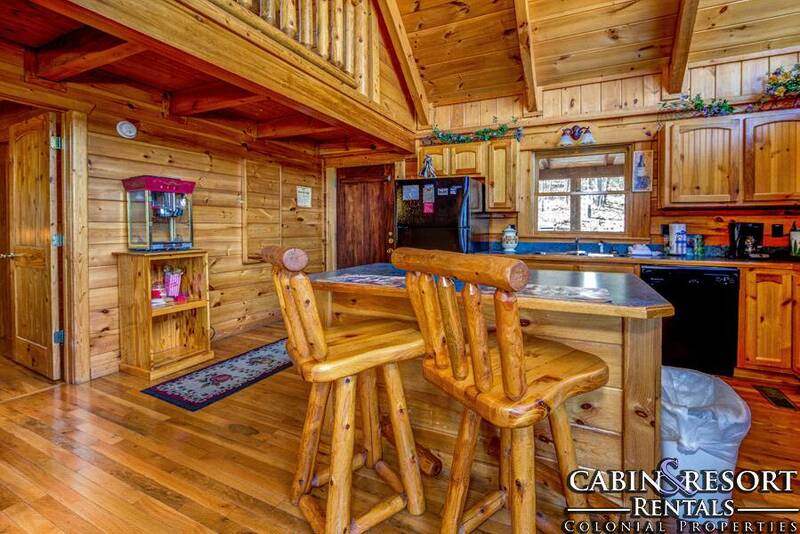 “ We fell In love with this cabin. Wish we could make it our permanent home. 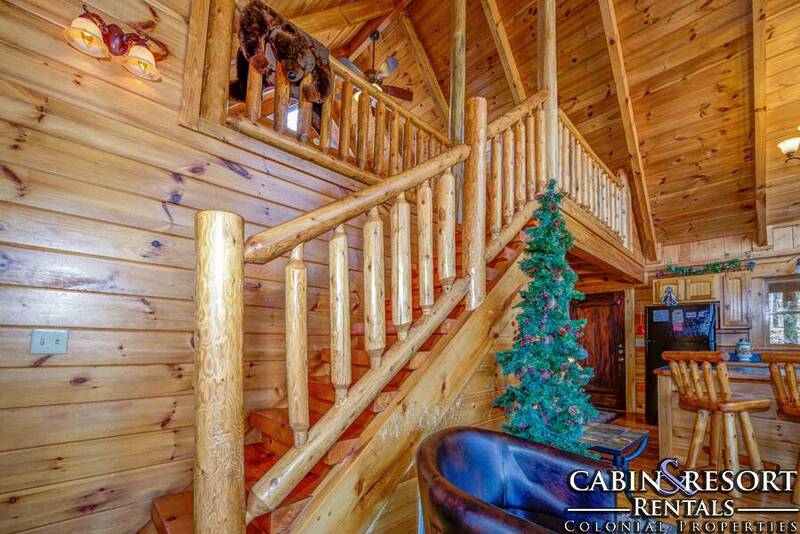 “ The cabin my wife and I stayed in was phenomenal. When we arrived the place was clean and ready for our stay. 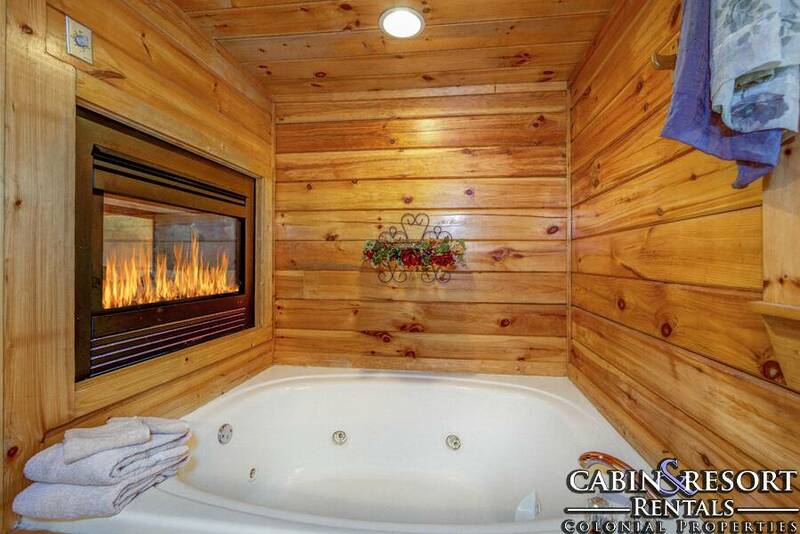 Everything was exactly what we expected when we looked at cabins online. One cool thing about the cabin we rented was the journal from past people who have stayed in that cabin. It was a huge help on places to check out. 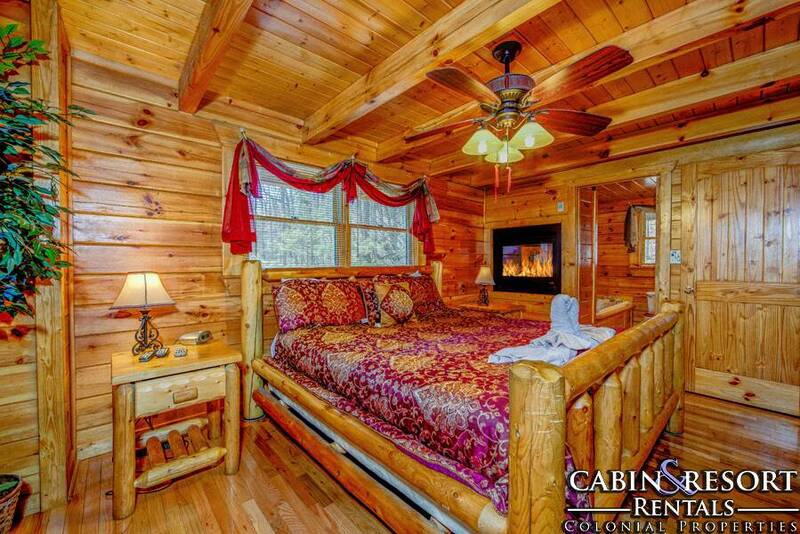 “ It was a terrific cabin. Next time I’ll reserve a longer term. 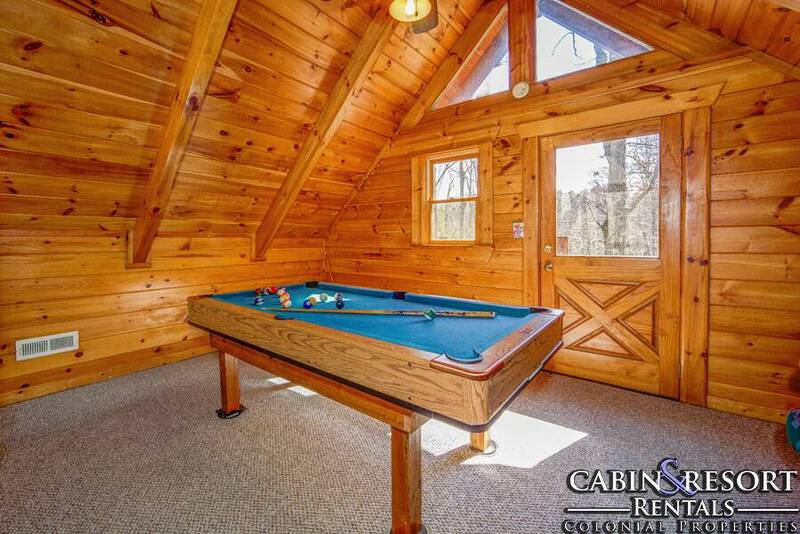 “ Spent a few days with my girlfriend at this cabin and had a wonderful time. We enjoyed the wrap around porch and hot tub. We also enjoyed the big windows and full kitchen. Would love to come back and do it all again. “ It was so peaceful. I really needed it. My Husband and I enjoyed waking up drinking coffee with such a beautiful view. We are looking forward to our next stay, and we might just bring the kids. 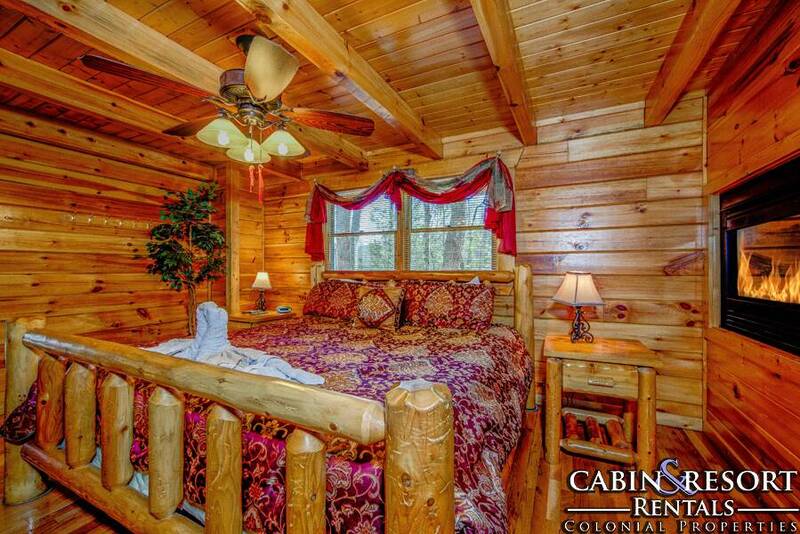 “ My husband and I had an amazing stay in our cabin! Everything was perfect! We loved how clean everything was! Our children also had a blast! So many attractions close by made this vacation wonderful! Thank you for everything you have done to make our stay so wonderful!! 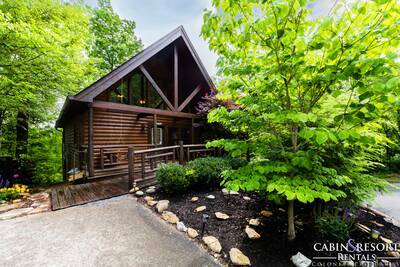 “ We were married November 20, 2017 in Gatlinburg, and stayed at this beautiful, cozy, quaint cabin on the hill. 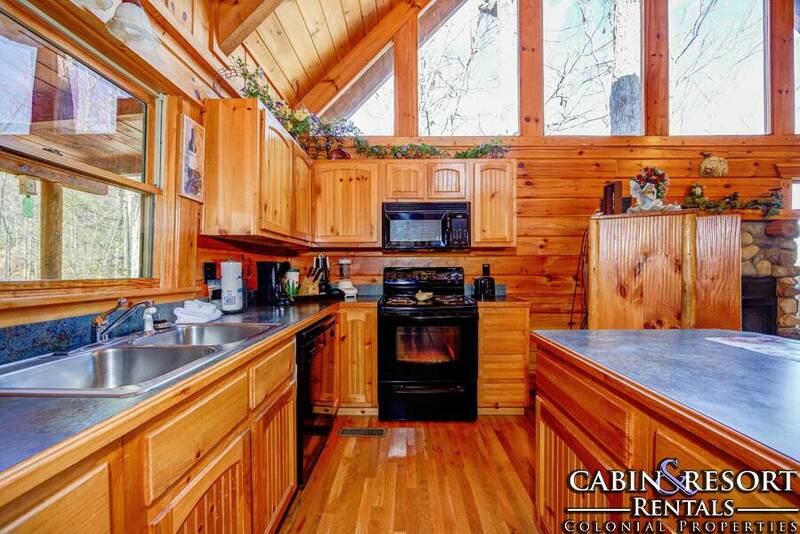 The privacy of this cabin was perfect for us. It was clean, had all the amenities needed, and had us wanting to stay longer! 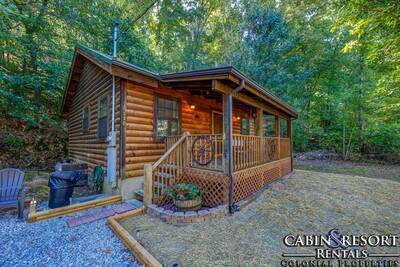 We would recommend this cabin to anyone looking for a nice get-away! We cannot wait to go back!!!! 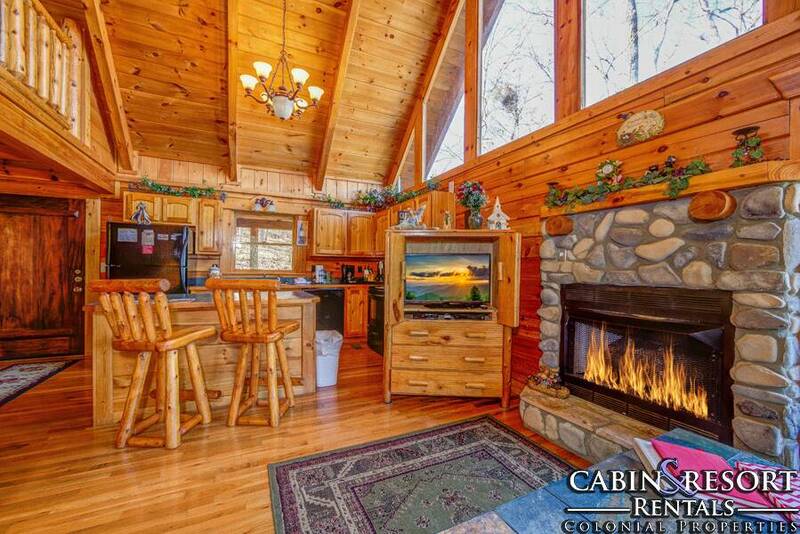 Thank you for a beautiful cabin! “ Very happy with the whole vacation. 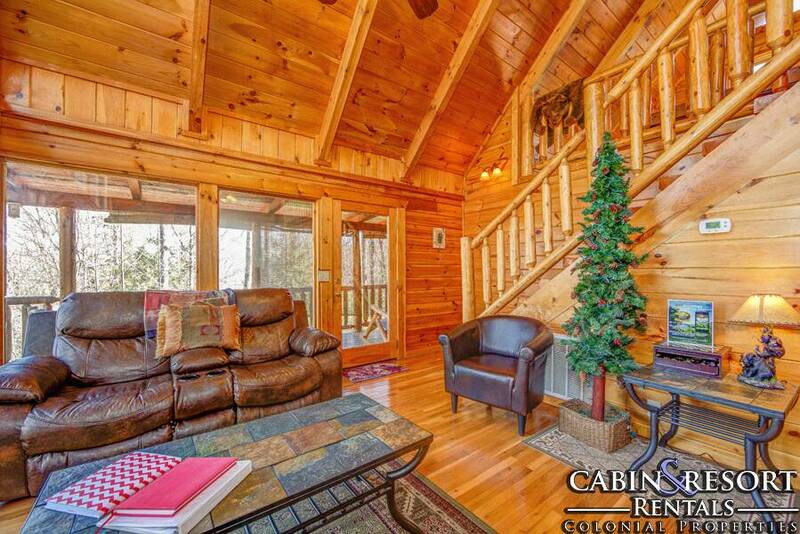 The cabin was just like the pictures, very clean. We would recommend and stay again.....and we hope too. Thank you ! 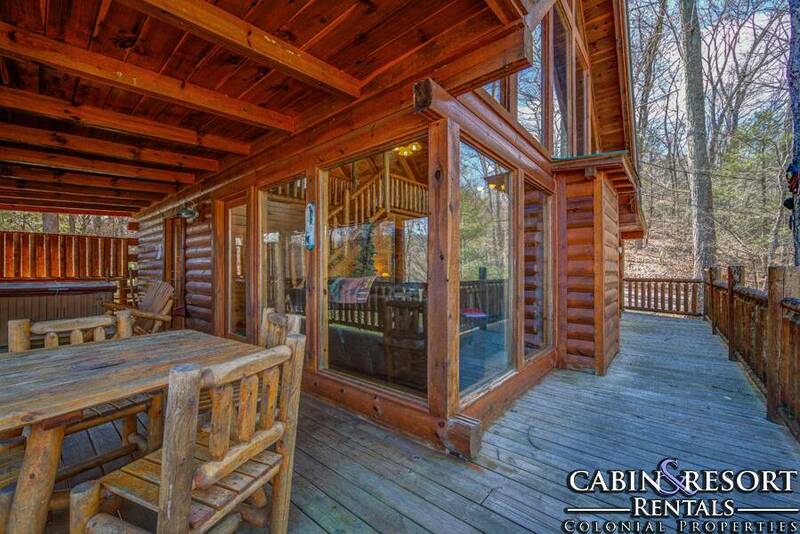 “ The cabin and location where amazing. 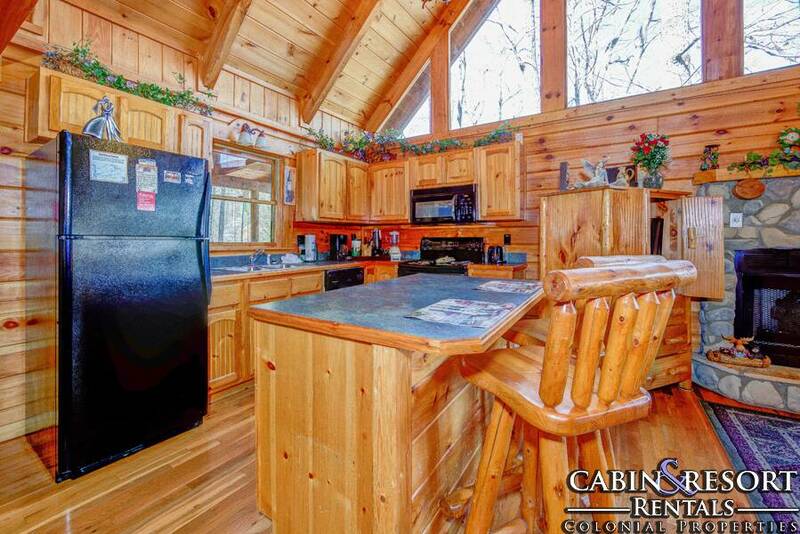 “ The cabin was clean and in a gorgeous setting. The Mountain View was nice and the location was pretty much in the middle of everything we wanted to do and see. Even had a bear walk by while grilling dinner one night. Would definitely stay there again. The only concern was a very steep driveway but even a small Ford Focus was able to make it up.